I hope everyone had a good weekend! My sports Sunday started with watching Rickie Fowler take home the Waste Management Phoenix Open. Rickie’s incredibly skilled, so his game gets the job done plenty on its own. Still, the superstitious among us in the office can’t help but wonder if the new Rocket Mortgage® logo on his sleeve might be a good luck charm? Oh yeah, and some team from New England won a pretty big football game last night. Hopefully, next year the Lions could find themselves in the big game? Detroit did beat New England in front of a national audience in Week 3. Could next season be the year to get the biggest win of them all? New Englanders are no doubt feeling pretty good this morning. Let’s see if last week’s economic reports gave a winning performance. The government is reopened, but it’s going to take some time to gather the data for many reports. Data for November was supposed to be released on December 28, and the government was shut down at the end of that month. The November report has been canceled. The timing of the release of December data hasn’t been announced yet. According to this index, home prices were up 0.3% on a seasonally-adjusted basis in the month of November, despite falling 0.1% overall. Home prices were up 4.7% on the year, although the pace of appreciation slowed by 0.3% from October data. 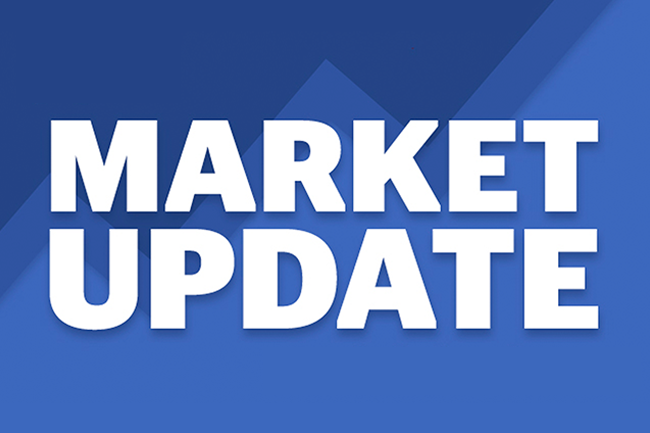 The West, which has been a bellwether of price growth in other indexes as well, exhibited a slowdown this month. Prices were flat in Los Angeles and San Diego, while San Francisco and Seattle – two cities that typically lead gains, were down 0.5% and 0.3%, respectively. Phoenix and Las Vegas were up 0.7% and 0.5%. These cities have strong year-on-year price growth rates as well, up 12.1% for Las Vegas and 8.1% for Phoenix. New York showed strong appreciation for the month, up 0.9%. The market is still only up 3.5% on the year, but it’s doing better than San Diego and Washington, D.C., which are only up 3.3% and 2.7%, respectively. Consumer confidence took a steep downturn in January, a reversal of course blamed primarily on the government shutdown. This metric fell 6.6 points to an even 120. This confidence number is down 16.2 points since November. It represents the biggest decline since the 2008 recession. Most of the weakness was in the expectations component, which was down 10.4 points to 87.3. People are more worried about the outlook for future employment and income prospects six months from now. Consumers’ assessment of the present is much rosier. Although the idea that jobs are hard to get picked up a little steam going 0.7% higher. The percentage of consumers who hold this opinion is still very low at 12.9%. It’s also offset by 1.1% more people saying jobs are plentiful, at 46.6%. Buying plans over the next six months were mixed, but mostly positive. In housing, 1.9% more people plan on buying a house in the next six months. There was also a slight increase in those planning to buy cars. There was a big downturn in people looking to buy major appliances. In terms of inflation, consumers expected it to rise 4.4% in the next year, which is considered on the low side for this report. Mortgage rates have held remarkably steady in this report, up one basis point last week to 4.75% for a 30-year fixed conforming mortgage. Because lenders were closed for the Martin Luther King Jr. holiday, there could have been an effect on applications which were down 3% overall, falling 2% on the purchase side and 6% on the refinance end of things. Purchases continue to make up the majority of the market for mortgages at this point as the share represented by refinance applications fell another 2.5% last week to 42%. The release of the first estimate of fourth quarter economic growth has been delayed. At this time, no date has been given for the makeup. The pending home sales index was down 2.2% to 99 even. This represents a sharp decline in the number of homes under contract for sale in the month of December. This doesn’t point to good things for future reports on existing home sales. There were 53,000 jobs added to initial jobless claims last week bringing the total number to 253,000. Last week, claims were at their lowest levels in about 50 years, so this is quite the spike. The government shutdown did add 15,000 claims to the number for last week. The Department of Labor also states it’s impossible to estimate how much of this might have been impacted by government contractors affected by the shutdown. It’s worth noting that the four-week average was still up only 5,000 to 220,250 claims. This report wasn’t released as they’re still in the data-gathering phase. No makeup date has been announced yet. In contrast to last week’s existing home sales report, new home sales in November were actually up 16.9% to come in at 657,000 on a seasonally-adjusted annualized basis. The South had a 20.6% uptick in home sales and the Northeast had an even bigger percentage gain. However, it’s not all peaches and cream. The West is down 5.9% on the month and sales have fallen 25.9% on the year in the region. Despite the gains, sales of new homes are down 7.7% on the year and there was also a 7% drop in prices in November as builders were motivated to sell. The median price is now at $302,400. Supply came in at 330,000 homes, up 0.6%. However, because properties were selling faster, supply and the current sales pace is down to six months versus seven months in October data. The January jobs report blew expectations for 158,000 jobs to be added out of the water. The number of positions actually added to payrolls was 304,000. There were 296,000 jobs added in the private sector, while government added 8,000 jobs. While the unemployment rate was up 0.1% to 4%, the labor force participation rate was up by an equal amount at 63.2%. This suggests that the change in unemployment rate has to do with more people being optimistic enough about the economy to re-enter the labor force and again begin looking for jobs. It’s also worth noting that for the purposes of this survey, workers who were furloughed were counted as unemployed, which may account for some of the increase. Turning to individual fields, 13,000 jobs were added to manufacturing payrolls, a particularly closely watched industry. Additionally, there were 52,000 jobs added in trade and transportation with a matching gain in the construction industry. In professional and business services, 30,000 jobs were added. Average hourly earnings were up 0.1% on the month and just 3.2% on the year. The length of the average workweek remained steady at 34 hours, 30 minutes. Slightly dampening things was the fact that revisions to the prior two months showed that there were 70,000 less jobs added to payrolls than previously thought. The manufacturing sector had a good performance in the month of January. Confidence was up 2.3 points to come in at 56.6, indicating a quickening of growth in the sector. New orders were at 58.2, which was up seven points in an effective bounce back from what had been an 11-point downturn in December. Production was also up almost 6.5 point to come in at 60.5. Cost inflation was down while inventories were up. On the downside, growth in orders for exports was the slowest it had been in two years. It appears the ongoing tariff issues are showing their effects. In the final reading of January, consumer sentiment was up slightly, rising 0.5 points to come in at 91.2. However, this is a limited rebound after the government shutdown sent it down 7.1 points at the mid-month reading from where it had been in December. The expectations component was down 7.1 points on the month to come in at 79.9. Meanwhile, current conditions were also down, falling 7.3 points to 108.8. For each of the readings, this is the lowest they’ve been since October 2016. In terms of inflation expectations, consumers’ expectations for price increases over the next year are flat at 2.6%. Over the next five years they were up just 0.1% at 2.6%. Mortgage rates moved just slightly higher last week, but they’ve pretty much stayed in the same narrow range for a while now. It’s important to note that this data was collected by Freddie Mac before last Wednesday’s announcement on the short-term federal funds rate by the Federal Open Market Committee (FOMC) of the Federal Reserve. The Fed left short-term rates unchanged; that much was expected. What was unexpected was the press conference that followed in which Fed Chairman Jerome Powell said that the Federal Reserve wanted to maintain a large supply of assets. Because many of the assets that the Federal Reserve owns are mortgage-backed securities (MBS), this news is good for mortgage rates. They also said they’ll be patient with interest rates. Mortgage rates are somewhat lower over the past month and a half then they were before the current trend. With the government coming off a shutdown, anyone in the mortgage market would do well to be aware that the backlogged data can come at any time. This, combined with other day-to-day market movements, means that rates have the potential to turn the other way and any time. Anyone who tells you they know what the market will do may be right once or twice, but no one can guess correctly on a consistent basis. What’s the bottom line? If you’re in the market to purchase or refinance, take advantage of these conditions and lock your rate while they’re favorable. With that, let’s turn to some data from Freddie Mac. The average rate on a 30-year fixed conforming mortgage with 0.5 points in fees was up a single basis point to 4.46%. A year ago, the rate was 4.22%. Looking at shorter terms, the average rate for a 15-year fixed mortgage was 3.99% with 0.4 points, again up a single basis point. Last year at this time, the rate was 3.68%. Finally, the average rate on a 5-year treasury-indexed, hybrid adjustable rate mortgage (ARM) with 0.3 points paid was 3.96%, up six basis points on the week. This is up from 3.53% last year. The stock market reacted very positively to the strong jobs report. There were gains in energy and technology sectors that helped make up for losses in companies that rely on more discretionary spending from consumers. The Dow Jones Industrial Average had its sixth straight week of gains, up 1.32% after finishing Friday with a 64.22-point rise to close at 25,063.89. The S&P 500 closed up 2.43 points at 2,706.53, up 1.57% on the week. Finally, the Nasdaq finished at 7,263.87, down 17.87 points on the day, but up 1.38% over the previous five days. As with the past few weeks, the schedule is in flux because of a backlog of data-gathering work related to the government shutdown. These are the releases that are scheduled although there may be more to report by the time we write this next week. We’ll have these and whatever else may be coming our way this week covered in next Monday’s Market Update. I know that economics and mortgage rates aren’t everyone’s favorite thing to read about on a Monday afternoon. Fear not, if you subscribe to the Zing Blog below, we’ve got plenty of home, money and lifestyle content to share with you. This week, we thought we would spotlight Allison Saunders’ piece on seven ways to make your home office a more productive space. Have a great week!